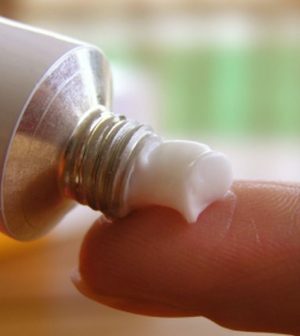 Now, research shows that the same two-ointment combo — one used to ward off skin cancer and the other a psoriasis drug — also greatly reduce the odds for squamous cell carcinomas (SCCs), the second most common form of skin cancer. “This is groundbreaking and will change many lives,” said one dermatologist, Dr. Michele Green, who wasn’t involved in the new research. “According to the Skin Cancer Foundation, more than 58 million Americans are affected by actinic keratosis and more than a million are affected by squamous cell carcinoma,” noted Green, who practices at Lenox Hill Hospital in New York City. She believes the combo therapy will prove “very effective” against both conditions. Three years after treatment, 28 percent of those treated with only 5-FU cream had developed SCC on the face and scalp. But that number was only 7 percent for those who got both medicines, Demehri’s group reported. Dr. Scott Flugman, a dermatologist at Northwell Health’s Huntington Hospital in Huntington, N.Y., was also impressed by the new findings. “Treatment of actinic keratoses has long been established to be medically necessary,” he explained. Given all that, the combo therapy “has the potential to become a widely adopted treatment method,” Flugman said. “The primary reason for treating actinic keratosis is to prevent [cancer] development, and our findings suggest this immunotherapy may be an effective way of achieving that goal,” he said in an MGH news release.